Each day from 24 September, for that week, I will introduce you to energy management skills using mind alignment, easy movements and sweet meditations. This is a FREE dive into your personal energy zone. 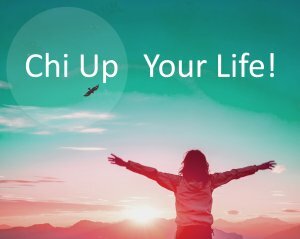 I have lead well over a thousand people in my near 20 years of teaching to a variety of ages and abilities – all found ways to access their inner chi-conversations whilst in session. Chi = life force energy, yours, mine, the universe’s. We are given a certain quota at birth from the combination of our parents. It gradually runs out the older we get and the more burned out we become. We can enhance what is left and this is where easy-to-follow qigong moves and meds come in. These techniques have ensured my ability to thrive ‘home free’ for the last 4 years whilst running an expanding conscious living events company. There is no pressure on this challenge, rather an opportunity to be curious about yourself – to see/feel/sense your chi’s way of connecting with you. We all have chi running through us, it is our animating nature, said to flow around meridian lines, stored in reservoirs (dantiens) which exist co-spatially with chakras. 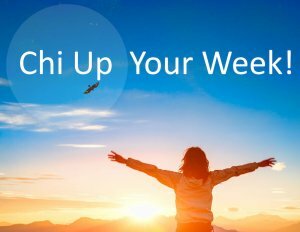 Energise your everything with Clara Apollo’s Chi Up Your Week! Sign up via the event page of the same name. Weekly Elemental Qigong to energise and invite balance to your Be-ing. Join Clara Apollo to unfurl how to relate to your natural life-force energy. Self-resourcing at its very best. Taoist meditation to complete – integrating the work before heading off to whatever’s next!